If you think that stairs are just for climbing then you are dead wrong. Every day in our life someway or the other we are taking a step towards a modern world, we sure can do the same with our stairs too. There are so many contemporary designs to utilise a staircase and it's not just for climbing. Less space and urban homes require patterns that reject the stereotypical placements and designs, by creating unique yet useful work of art spaces that compliment the modern architecture of your home. 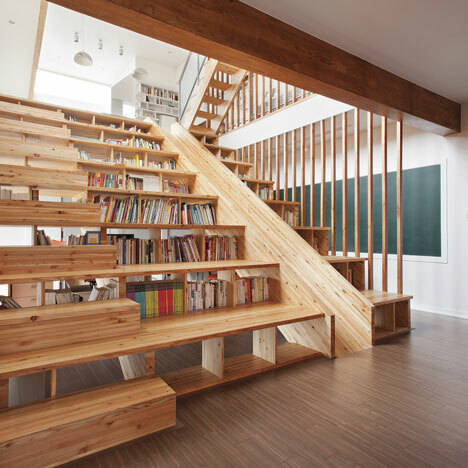 Staircases are one of them and the combination of it with a bookshelf is unique in itself. This fusion of utility with storage works like an art in modern homes. It saves space as well as changes a simple bookcase into a statement. You can work with many designs, and change it according to your taste and the type of stairs you want. It doesn't matter if your stairs are made of marble, wood, metal or stone, it can easily turn into something special that would leave you in wonderment as to how is it possible. If you are a book lover this sure would catch your attention, as all those books you love would now have a special place for you to showcase. 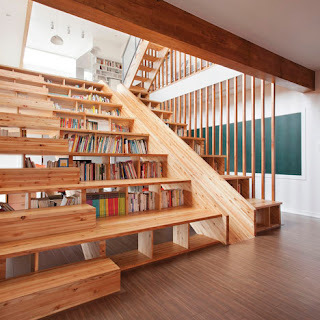 Let's look at 8 examples of stairs that will suit your home and do double duty as a book shelve. 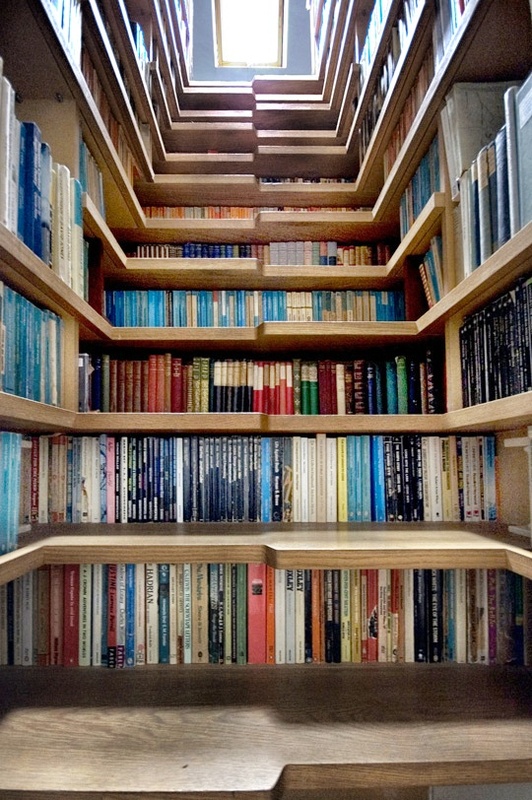 Now we have all heard about the boy under the stairs, if this Harry Potter reference doesn't get you anywhere then this book shelve under the stairs would surely do. Instead of utilising the space beneath the stairs for a closet or a shoe rack, you can now switch it for a cool bookshelf that would compliment your home.You can add lights under the stair to illuminate the books and show off your wide collection to others. If you are not the common type then normal bookshelves won't work for you either. 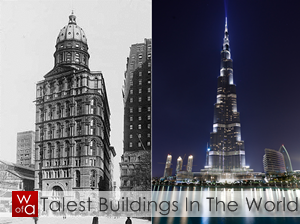 You require something extra special that would speak more about style and creativity than utility. 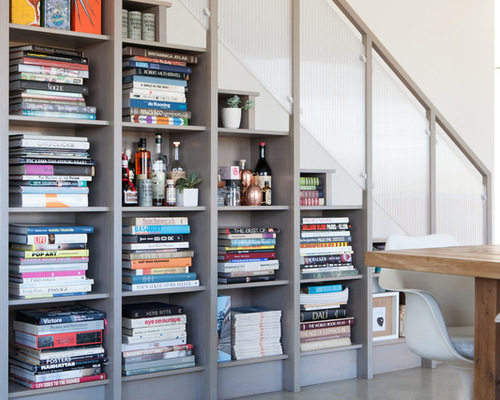 For such a taste as yours, you can trade for the common bookshelf under the stairs for a staircase shelf that would not only display your books but also your taste. 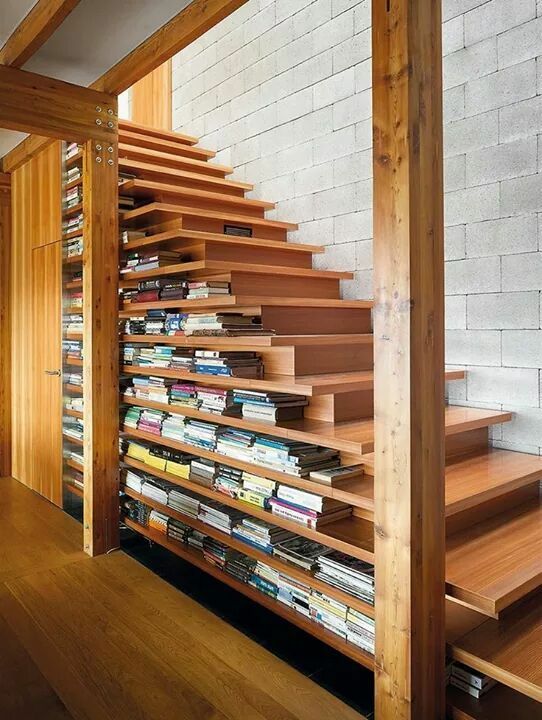 So instead of the usual bookshelf that is built under the stairs, you can try wider platform stairs that would work as a shelf to showcase your books. 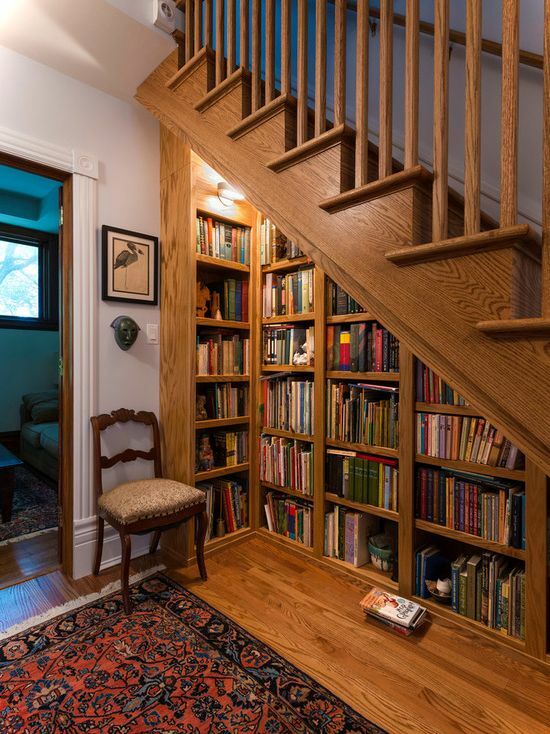 This type of open Staircase Bookshelf has good foot holding and would also act as a sitting area to enjoy the company of your books. Cubicles under the stairs have been quite the talk a while back but lately, this has been turned into an artwork and it's not just wood but metal and glass too. The fine combination of fitted cubes in the staircase forms a great bookshelf that can store all your books and art pieces. You can also opt for glass shelves and glass stairs and it would seem like you are walking over floating books. It is not only practical but attractive too. This triple combination works wonders as it not only has a stair for climbing but has a storage cube and bookshelf as well. This can triple the effect of your simple stair and make your home look more like an artwork. The cubes could be used for vases, showpieces, your music system while the long horizontal shelves can be used for the books.You can personalise it by adding wallpaper of your choice in the background, which would give this design more dimension. 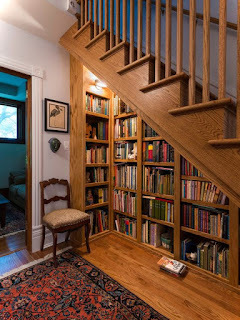 If you have a closed up stair that leads to your room or the main floor, you can use it to your benefit by using the space under the steps as a bookshelf, plus the walls on both sides.Now narrow stairs won't be boring and dull anymore, plus your books won't be cluttered on tables and sofas. 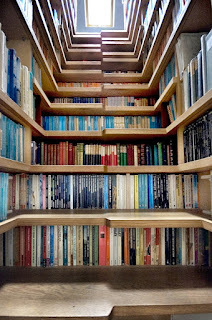 Each step has a cavity to fill with books and every angle gives an illusion that is a treat for the eye. This design practically means a step towards knowledge. 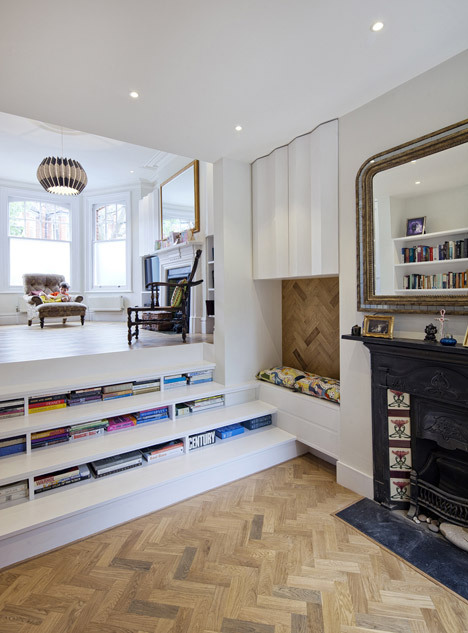 This re-design works for those who want a staircase and a bookshelf that doesn't open on the side but at the back to give more space to the room. It also works for those who don't want a closed up wall for a built in closet or bookshelf. The shelves are attached to the back or projecting out from it, which gives more room for furniture. This would work great for people who have less space and wants to utilise as much as they can. You don't need a long staircase to turn it into a bookshelf. If this is what you have been pondering over then be at ease as a short staircase would work out just fine. 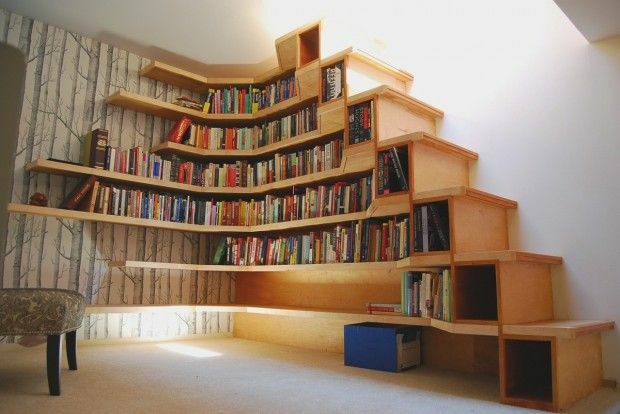 The steps can be wider and longer to add more space for books and would double up as a seating area while you read your favourite book. You can work this design for two-step stairs that lead to sitting areas or dining room. Moreover, you can add cushions on the end of the steps to act as seats. Now this staircase bookshelf is quite a centrepiece, whose concept is not only space saving but fun as well. Set apart with a great design by Seoul Studio Moon Hoon, this South Korean House interior staircase has a slide that would be a fun factor for kids and has steps that can be used as a bookshelf. The wider step design gives a comfortable footing and works well as a seat too. You can definitely call this amazing design as a fun way to study. 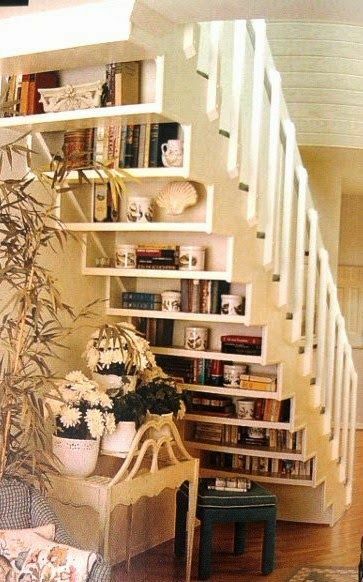 So now you know that there are many creative ways to utilise that space under your stairs that had no practical use before. 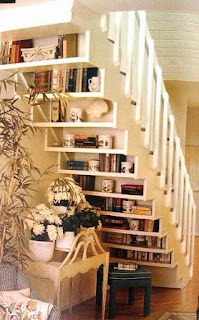 You can re-design a simple stair into a bookshelf that would not only compliment your home but will be practical too. If you are someone who is on the lookout for a bookshelf then don't buy one, instead, be innovative and redesign your stairs for a much cooler shelf.Sometimes a simple change in design can bring about a major change in the field of interior designing and staircase bookshelf is one such design.Try one of these 8 contemporary Staircase Bookshelves to re-define your home to compliment that artistic taste.